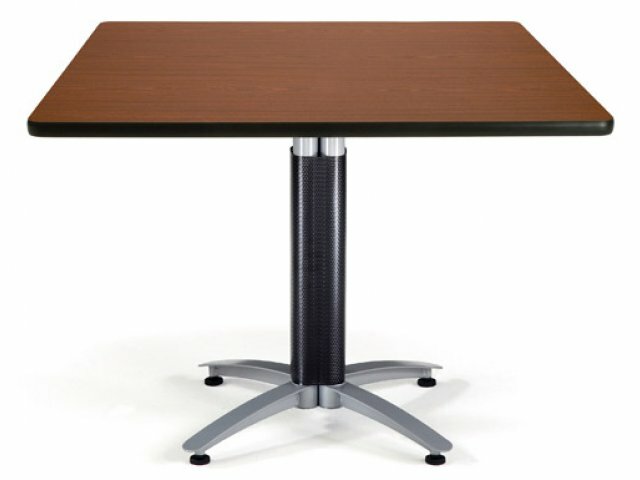 Square Cafe Table with Mesh Base Dining Height 42x42"
These elegant cafe tables are perfect for both lunchroom and meeting rooms. 3MM edge banding gives the edges a smooth and finished appearance, plus extreme durability. 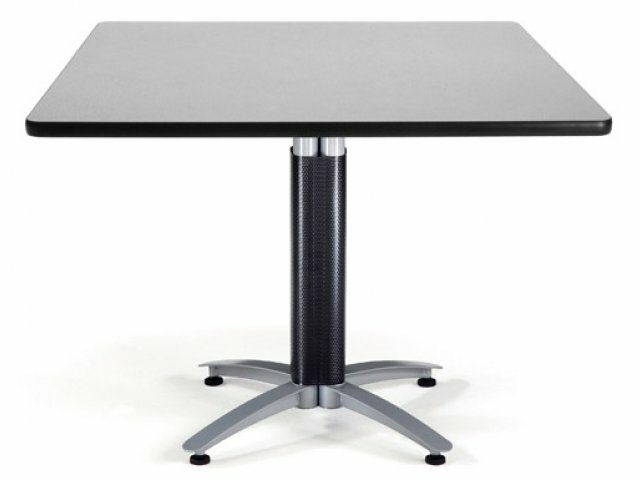 The honeycomb core makes these cafeteria tables lightweight. 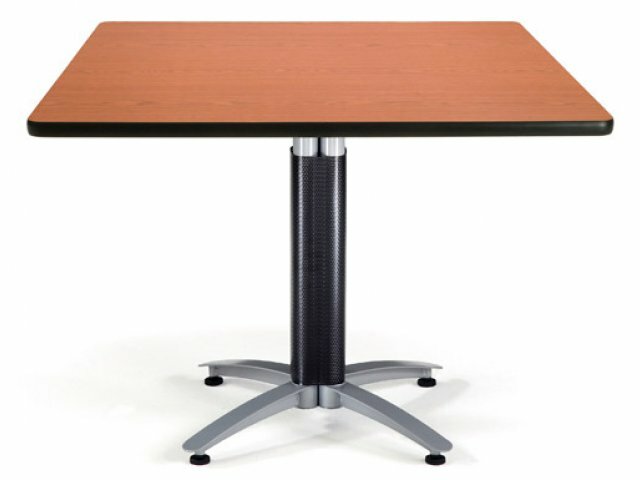 1 1/4"-thick, high-pressure laminate top with honeycomb core. Dent-resistant and comfortable 3MM edge banding. 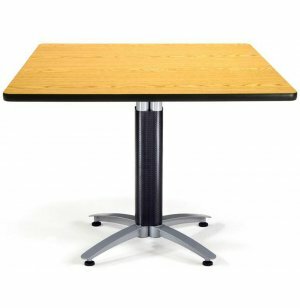 Excellent for lunchroom and meeting tables. 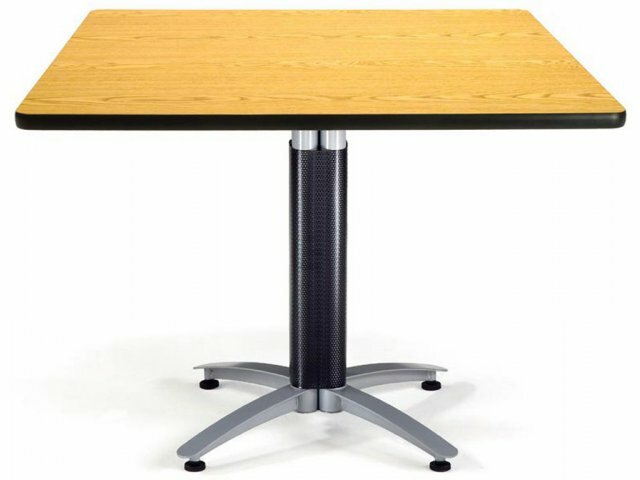 ADA compliant if ordered with casters - call for pricing.